Tonight I have the other China Glaze Metro Collection swatches that I promised. I only purchased 5 shades from the collection, so I just have two more to show ya’ll. 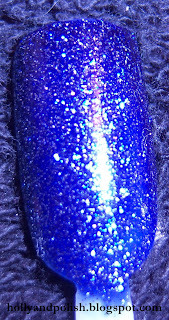 Skyscraper is a navy blue jelly with silver and blue glitter in it. 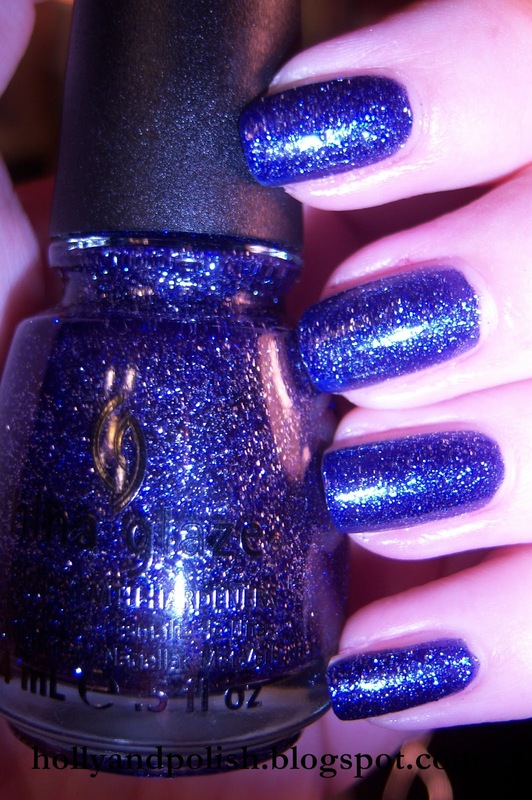 I’m a big glitter fan, but for some reason I just wasn’t that nuts about this polish. This color looks a lot darker in the bottle, and for some reason, I just don’t think it’s that pretty. I ended up using two coats. 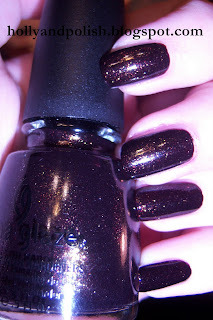 Midtown Magic is a dark burgundy with a gold shimmer. 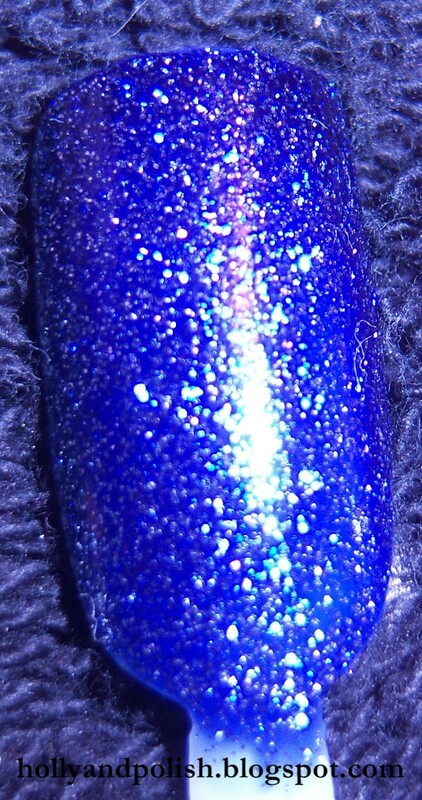 I don’t know what else to say besides that this shade is super beautiful! This is probably my favorite from the whole collection. I used two coats of this one as well.